Richard Sethre, PsyD, LP has provided psychological services to people with excessive weight for over 20 years. He has provided over 2,000 pre-surgery psychological assessments to help bariatric patients get cleared for surgery and to get a good outcome from their surgery. He is a member of the American Society for Metabolic and Bariatric Surgery and has provided presentations about bariatric surgery for Minnesota Psychological Association conferences and workshops. If you would like to learn more about what he can offer to help you with weight loss or to prepare for bariatric surgery, please contact him by phone or email. ASMBS has high quality information about the disease of obesity and bariatric surgery for people considering bariatric surgery. Paperwork for the first pre-surgery psychological assessment appointment. Please download, print and fill out the forms as best you can. The first two are Word documents. You may download the documents, print them and fill them out by hand. You may need to click on “enable editing” on the download to enable printing and, if you desire, completing the forms on your computer. The last ones are PDFs, and must be printed and completed by hand. Do not complete the one for mental health if you are not currently seeing a mental health clinician (psychiatrist, therapist/counselor, or treatment program). m at the beginning of your appointment to help with any questions you have. 17-bariatric-intake-form– (Word documents) please complete it as best you can. Dr. Sethre will use the information on this form as part of the interview for the first appointment. 2017 BARIATRIC COORDINATION OF CARE FORMS – (PDF) these forms authorize Dr. Sethre to obtain information from your other medical providers, if needed, and to send a copy of his clearance report to them (with your authorization, of course). There are three forms: 1. Mental health professional (if you are seeing a therapist or psychiatrist). 2. Primary care provider (family doctor, nurse practioner, physcian’s assistant) and 3. Bariatric program. Please fill out the ones that apply to you. You are welcome to discuss any privacy concerns with Dr. Sethre at your first appointment. Richard Sethre provides 3 videos about bariatric surgery and psychology. Here is the one that explains why a psychological assessment is required. All bariatric videos are located here. 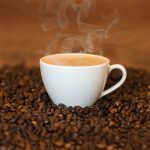 Bariatric surgery and caffeine – good article about why it matters.